Now that Apple has finally caught up with new iMac demand, the company has updated their entry-level education iMac offering. Yes, the specs are beefier, but so is the asking price — $100 more than the previous generation. 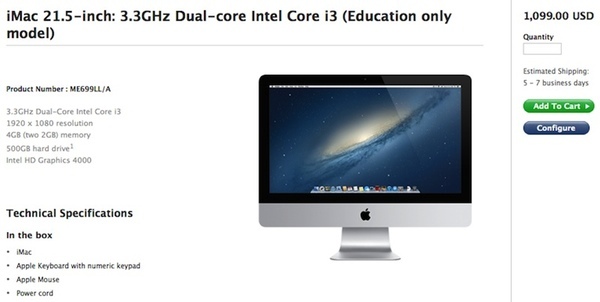 And, of course, Apple’s “low-cost” education iMac offering is only available to institutions. Regular, non-educational folk purchasing an iMac last Friday were quoted three to five day availability. Today, Apple promises to ship new iMac orders with 24 hours. 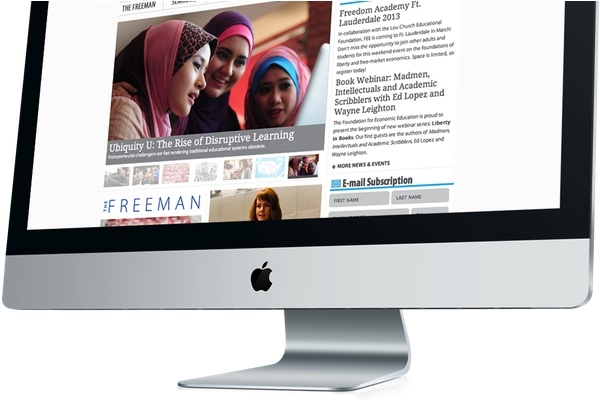 Apple’s previous generation education iMac was priced at $999. Does that configuration sound like a $1,099 bargain to you?